Police say 29-year-old Mathew Sterling was taken into custody Thursday afternoon for allegedly posting on social media that he planned to kill Phoenix police officers and a performer at the event. 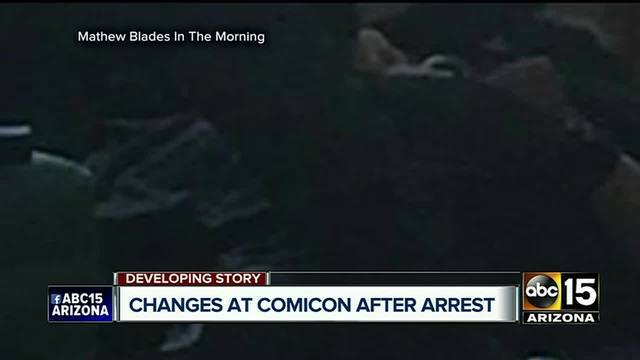 According to officials, the post included pictures of officers that the suspect took at Comicon. 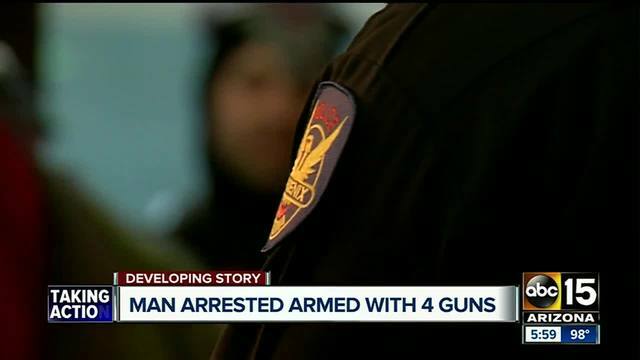 When officers located the suspect inside of the Phoenix Convention Center, he had three handguns, a shotgun, knives and ammunition on his person, officials said. He was also wearing body armor. Sterling has been booked on the following charges: attempted murder, three counts of aggravated assault with a deadly weapon, wearing body armor during the commission of a felony, resisting arrest and carrying a weapon in a prohibited place. During a Thursday afternoon press conference, Sgt. Mercedes Fortune said Phoenix police will be updating security at the facility, including additional screening, as well as fewer accessible entrances to the building. The most notable one is that no weapons of any kind will be allowed into the convention. That includes costume props, no matter what it is made out of. 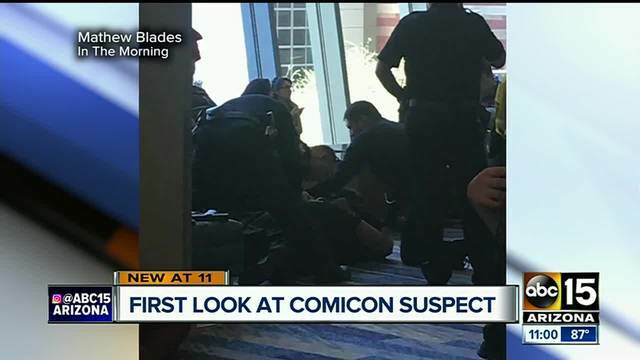 Phoenix Comicon released a statement late Thursday on the incident, including changes to "Con on 3rd" and where to pick up registration station badges. Stay with ABC15, ABC15 Mobile and abc15.com for updates on this developing story.